We are happy with our service and are extremely happy with our service person, Andrew has been with us for along time and I'm sure is a great asset to your company,. Drew is awesome! And extremely nice! Wonderful job! We at Turnaround are very pleased with our service with Active Pest Control and look forward to doing business with them. Great prices and the technicians are wonderful. They are very friendly and knowledgeable. I am very happy I chose Active Pest Control! 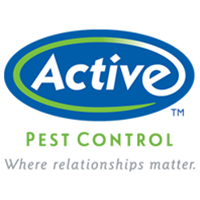 I am very happy with the service I received from Active pest control. I live in the country and like to set on the porch in the morning and evening and the stuff that is used makes I possible to do because it helps control the mosquitos so thanks you should give them a try. Great service and professional technicians. Drew is a great and knowledgeable tech. Very professional and considerate with my schedule. We had the guys scheduled for 1 pm, but they showed up without advanced notice at 11 am. Not a big deal, but would have been nice to have a heads up. Otherwise, the Guys themselves were awesome, listening to our concerns and addressing them systematically. We are very pleased with the service. Service has been good since taken over from Regency. Only miss that Regency would tell you a time for appointment whereas Active has 2 hr window for waiting and can be difficult when working weekdays. Thankful also that they return for any recalls on bugs as Regency has done so very glad about that. Great price, great personel. Would not change to another agency. The service tech and the others involved have been straight forward, educational and informative. The Active Pest Control staff understands my time challenges and has worked with me to get stuff done. Roger is very responsive to our needs. We bought the VIP program and are very happy. We wanted to never have issues with anything that crawls or flies (except the hummingbirds). Personal and complete service! When the bug man arrives he asks for our input and then he goes right to work. Great experience!!! Wonderful tech! Thank you for Amazing service!!! Great pest control and awesome customer service! Great thorough service. Friendly and pleasant personnel. Fantastic company. All Investor’s lives seem highly motivated and very informative. From a bug infested 3500 square foot center for learning in a large office plaza with other businesses all around—-to a totally bug free atmosphere in two months is a miracle. That was almost tgree years ago! We sre SO happy!!! Consistently great service!!! Friendly, thorough ... the best! Great service and always on time. Excellent service, we have been very happy. Great agency with professional, reliable service. He was very courteous and polite he got right down to business as soon as he let me know he had arrived at my house. New with the company, but happy with them so far. Thanks. did not do anything due to rain. Said he would come back. Service was great and tech was real nice and friendly. Jimmie was pleasant, helpful and efficient. Roger, is a excellent technician. He was able to work around my schedule and met me to get my bed bug problem solved. Roger, was very kind and helpful. I really appreciate all of the hard work and helpful tips he was able to provide me and my roommate. Roger is very nice! Thankful for his service yesterday. Rodger was amazing! Not only did he give my boys and I confidence that he would take care of the problem, but he took his time to educate us as well on what exactly we were going through! Just had our initial treatment so I can't say I know how well it works, but the service has been fantastic! Courteous, prompt, described service well, high degree of professionalism. Great service and friendly representatives. I have used them for years. No trouble at all getting done when I need to get done.